Human and social services is a term that covers a wide range of professional activities which include social work, adult education, special education, rehabilitation services, etc. Social work is one of the professions regulated by the government because it requires intensive work with people and involvement with their lives and well-being. New York State defines social work as “a profession that helps individuals, families, and groups change behaviors, emotions, attitudes, relationships, and social conditions to restore and enhance their capacity to meet their personal and social needs.” Social workers are qualified to provide a variety of services, ranging from psychotherapy to the administration of health and welfare programs. 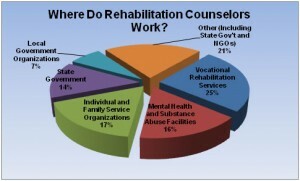 They work with mental, emotional, behavioral and environmental conditions such as mental illnesses and emotional disturbances, marital and family difficulties, adjustment problems related to acute and chronic illnesses, alcohol and substance abuse, behavioral and learning disorders of children and adolescents, community problems and social issues. Becoming a social worker requires a master’s degree and/or licensure/certification by the state. Some people who work in human and social services do not have degrees in social work. Sometimes they earn their degrees in more specialized fields (e.g., disability rehabilitation, workforce development, substance abuse counseling etc.). Sometimes they work for many years in the same specialized field, and they advance in their careers on the basis of their professional experience. Because the fields of expertise in human and social services are so broad, professionals in this area work in a range of institutions, from government social services, adult education programs, disability counseling, family counseling, immigration services, city and state government agencies, etc. Human and social service agencies always look for people who have cultural sensitivity and are able to recognize and respond to the challenges of working in multicultural environments. This means, for instance, that people with excellent people skills who are also fluent in multiple languages are highly desirable candidates for these jobs. Also especially qualified are those who are familiar with labor trends, urban culture, urban poverty, urban public education, and diversity in general. This professional field is a great example of personal and academic experiences working together, and with equal importance, to make for a great job candidate. Angela Kaur is a person who made a transition from studying in the humanities to working in the social services. She has two undergraduate degrees in the humanities: one in U.S. history, and another one in philosophy. She currently holds a position as Director of Programs at a center for adult education in Providence, RI, which is funded by government and other grants. Adults use this program to get GEDs and try to refocus and redirect their lives by acquiring a job competence. In addition to running these education programs, Angela also writes the grant proposals that make this program possible (e.g., they pay for staff salaries, rent, and books for the students). I would like to give you an idea of employment opportunities for graduates of English majors in the Social Services. This is a challenging task for several reasons. Firstly, the field of the so called Social Services or Human Services is so broad that one such title always seems incomplete and often is an understatement of who is really being served. It is even less telling about what it means to serve humans and the society. Secondly, this is a very changeable field. Therefore, job descriptions are constantly changing, definitions of success are negotiated along the way, and jobs come and go with the tides of ideology. And these are the exact reasons that I enjoy working in the field of the so called Human Services. I have been in this field for the past 15 years. I started my career as an assimilation case manager for a refugee resettlement office In NJ. When I moved to RI my focus shifted from the transcontinental homelessness to the homeless of America. I worked as a case manager for a major homeless shelter in Rhode Island for several years. I could not escape to notice that many people who were homeless lived with a mental illness. I decided to follow up on this insight and got training and a job in a community mental health center as a substance abuse specialist on the team of professionals who support people with disabilities’ independence in the community. After several years, I discovered that more often than not, people with disabilities are denied better incomes based on their seemingly deficient skills sets. So, I got a job in Adult Education. Adult Education is a mix of Social Service, Workforce Development (another obscure term), and Education. Not long into my new position I discovered that many people, even after they develop basic skills, remain unemployed and isolated due to numerous barriers that are outside of their control. I wanted to understand the nature of this barriers better so I went back to school and studied Rehabilitation Counseling Rehabilitation counseling is an inclusion based counseling that requires the worker to develop collaborative language among individuals with disabilities, their families, potential employers, federally funded services providers, politicians, and scientists. I make over $50, 000 year. Throughout my career I never stopped thinking as a student who majors in Humanities. Skills that I developed in college, such as critical reading, persuasive writing, and logical thinking were the pillars of my success in the field of Social/Human Services. The ability and desire to understand the human experience has been the driving force in my professional life. The same curiosity which has in the first place entice me to take Literature, Philosophy, Art, and other classes from the Humanities continues to inspire me in my work which is never boring, rarely independent, and always engaging. In every job I had and in every professional community that I am a part of there are many, many people who have once majored in English. I hope that you will consider a career path in the Human Service, where YOU get to create programs, models, methods and frameworks that can assure that all of us can have our needs fully met. Angela explains in the video below how she built a career in social services. Her academic training in writing has been crucial for the success of her grant applications. She explains some of the most important terms that appear in the job advertisements for human services (e.g., “case manager”) and directs anyone interested in this career path to check out currently available jobs in the field of human services at the website of the Bureau of Labor Statistics where you can also find the Occupational Outlook Handbook, with descriptions of various occupations that make up human and social services.